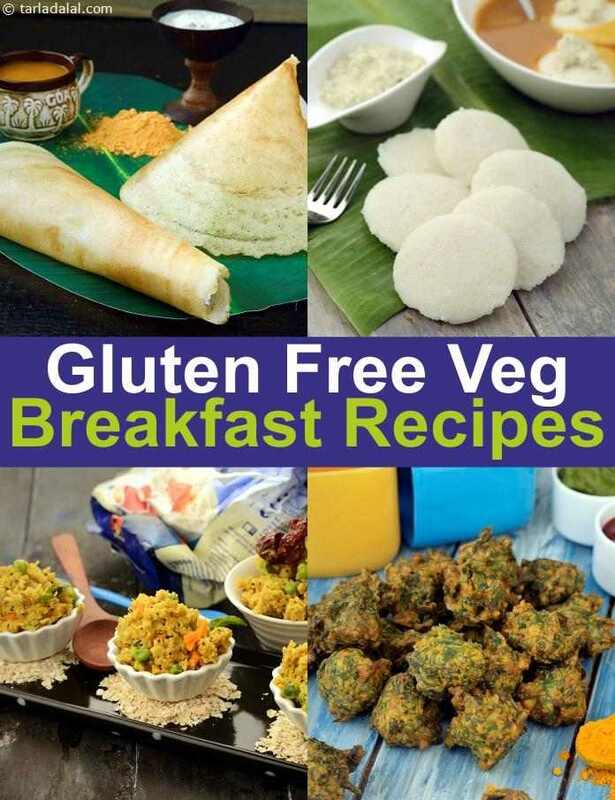 There are so many lovely options to have for an Indian Gluten Free Veg Breakfast. From the many South Indian options like Idli and Dosa to Sprouted Salads. Buckwheat (Kuttu) flour for Gluten free Paratha Breakfast: Buckwheat is the best source of Protein for Vegetarians and Gluten Free which is used to make Suva Buckwheat Paratha. Have this with a healthy Pudina Raita. We have made the Upma without Rava called Oats Upma. Then we have the Green Pea Poha and a Moong Dal Chilla which is super healthy. The Punjabi's love their Palak Pakoda and Paneer Pakoda for Breakfast.